Even if you aren’t familiar with shingles on a personal level, you’ve probably seen the commercials in recent years touting the pain and complications from this common condition. Common or not, it’s nothing you’d want to have — or even wish on your worst enemy. One million Americans will get shingles each year. And even if you haven’t had it, you should know that one in three adults over 60 will get it during their lifetime. It’s also not limited to seniors — younger adults can get it, too, and while the blistering rash is certainly the most common hallmark of shingles, you can get it without that telltale redness. Her doctor admitted shingles with no rash is definitely less common, but it does occur. And the problem is that by the time it was diagnosed, there was no treatment. It left her with a painful recurring condition called post-herpetic neuralgia that still plagues her four years later. If you think this is is something that happens to other people — or older people — think again. Here are some things you need to know. How do I know if I have shingles? The first sign is usually a blistering rash. The telltale appearance and type of pain symptoms associated with it generally make it easy for your doctor to diagnose. If you notice a burning, stabbing pain but have no rash, check with your doctor. You may still have shingles. Are there other symptoms? 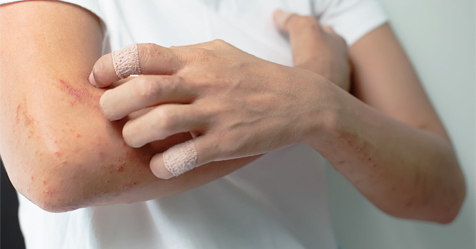 Even before the rash appears, many people will start to feel tingling or itching on one side of their body. Other common symptoms are headache, chills, fever or nausea — which may lead people to believe they have the flu. But many people have shingles and none of these symptoms. What exactly is shingles? It’s a condition caused by the same virus that causes chickenpox. Since as many as 99% of Americans over 40, those of us who grew up before the advent of a vaccine have had chickenpox, that puts most older adults squarely in the at-risk category. Although their chickenpox cleared up and disappeared decades ago, the virus lies dormant in the nerve roots, reappearing many years later as shingles. Is the virus related to herpes? Although its scientific name is “herpes zoster” shingles is not the same as genital herpes and isn’t sexually transmitted. It is an entirely different strain of the herpes virus. Who is most at risk? Many people, of course, will never get shingles, but if you’ve ever had chickenpox, you are at risk. Older people or those with weakened immune systems due to cancer, infections or autoimmune diseases are at the greatest risk. 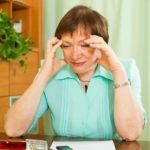 Stress also appears to be a factor — especially among younger adults who may not have those other risk factors. Is it contagious? Yes, but less so than chickenpox. It can’t be spread from one person to another, so if you’re an adult who’s never had shingles it’s okay to visit grandma when she has them. You will not get shingles from her. But here’s where it gets a little tricky — the virus can be spread from someone with shingles to someone who has never had chickenpox, resulting, not in shingles, but rather in a case of chickenpox. How long does it last? The rash and subsequent pain usually last from 2-4 weeks. What is the treatment? If prescribed early, antiviral medications can shorten the duration of shingles. For those diagnosed later, the only treatment is primarily to reduce the pain. It can include prescription drugs such as gabapentin or topical creams and patches containing lidocaine. Other treatments include over-the-counter pain-relievers and creams such as capsaicin. Are there any long-term effects ? Post-herpetic neuralgia (PHN) can be a painful complication of shingles, appearing in anywhere from 9% to 15% of shingles sufferers. Attacking nerve fibers, it causes a tingling and burning sensation of the skin. It generally lasts between one and three months but for roughly 20% of those with PHN, like Mary Baker, the condition can last a year or longer. Can you get it more than once? Unfortunately, the answer is yes. Most people just get it once, but some will get it twice or even three times. Is there any way to prevent it? Yes — with a shingles vaccine. The good news is that if you’re 60 or older, and in some cases even younger, you can get the vaccine. That really is good news because it reduces your chances of getting shingles by 51% — and the risk of developing PHN by as much as 67%. All that’s required is one vaccination. Ask for it at your next physical or stop by one of the many pharmacies that offer shots while you wait. Even if you’ve had shingles, you can still get the vaccine to prevent further outbreaks. 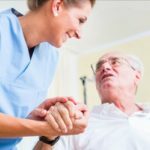 Why Are Nursing Homes Phasing Out Alarms to Prevent Falls?